In the twenty-first century, more than ever, everything and everybody seems to be on the move. Global flows of people, goods, food, money, information, services and media images are forming an intensely mobile background to everyday life. Social scientists, too, are on the move, seeking new analytical purchase on these important aspects of the social world by trying to move with, and to be moved by, the fleeting, distributed, multiple, non-causal, sensory, emotional and kinaesthetic. Mobile Methods addresses the challenges and opportunities of researching mobile phenomena. 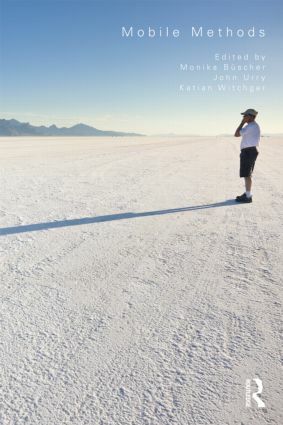 Drawing on extensive interdisciplinary discussion, the book brings together a collection of cutting-edge methodological innovations and original research reports to examine some important implications of the mobilities turn for the processes of ‘research’, and the realm of the empirical. Through analysis that addresses questions such as ‘how are social relationships and social institutions made in and through mobility?’, and ‘how do people experience mobility in twenty-first century world cities? ', the authors mobilize sociological analysis, bringing new insights and opening up new opportunities for engagement with contemporary challenges. This book is a key text for undergraduate and postgraduate students of disciplines including Human Geography, Social Policy, Sociology and Research Methods.